You can preorder any of the hampers or extras listed in advance of your stay. Just choose from the list and there’ll be an option to add it to your order when you book to stay with us. You will also be sent the menu a week before your stay in case you wanted to order an arrival meal or breakfast. Alternatively you’ll also be able to order during your stay, using the order form you’ll find in the Larder. 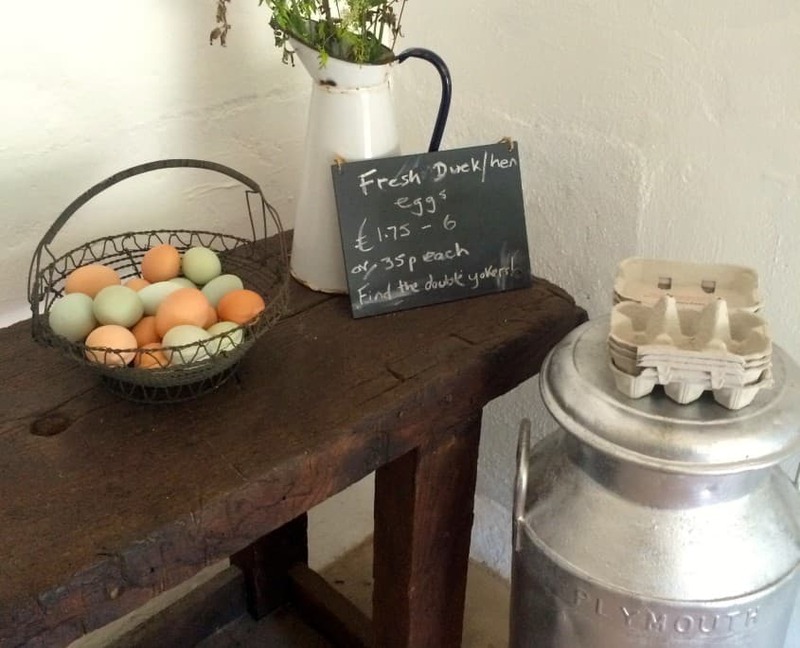 Orders placed before 7pm each day will be available to collect from the Barn the following morning from 8am for breakfast, or from 6.30pm for supper. Please let us know if you have any food allergies or intolerances. 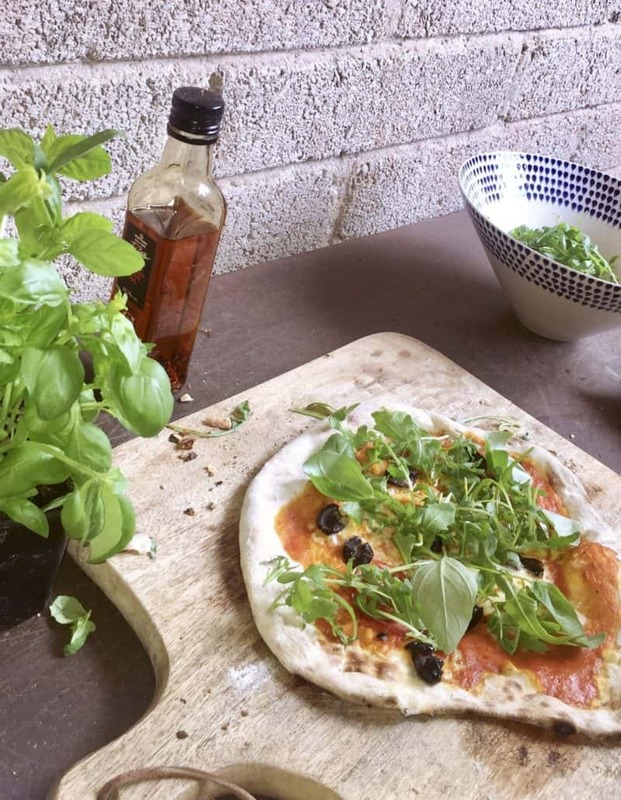 Pizza making in the barn will happen every Monday night throughout the school holidays subject to a minimum of 8 being interested. Outside of those times by arrangement at reception. 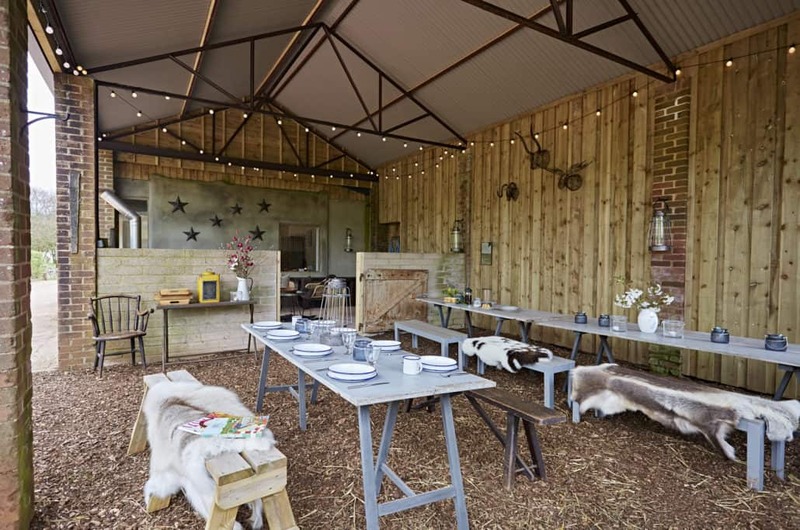 You can book the Lodge for your exclusive use in advance of your stay by emailing kate@brownscombe.co.uk or arrange through reception. At Brownscombe as well as catering for yourself you can let us do the cooking for you and treat yourself during your stay. 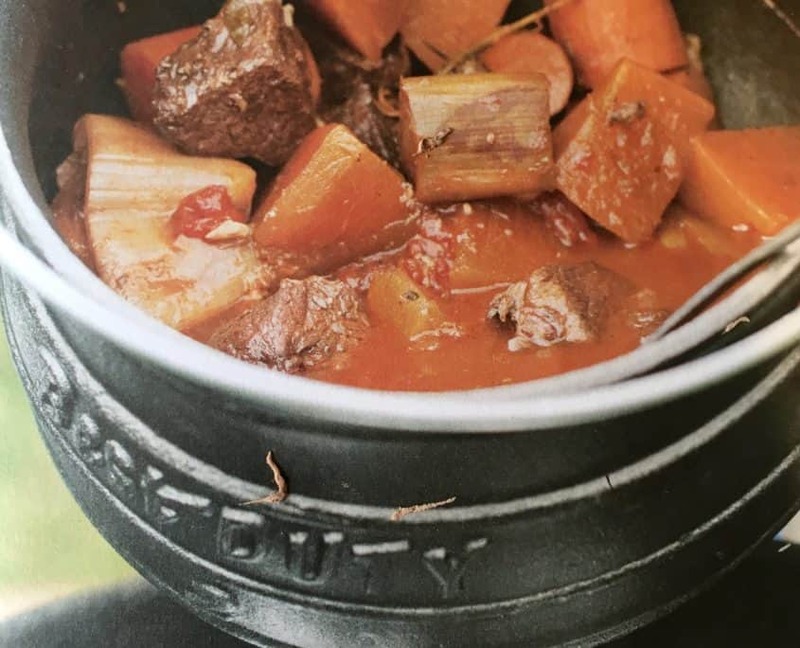 Order your food the night before from our Larder and get the kids to pick up your breakfast in the morning or a delicious casserole for supper. 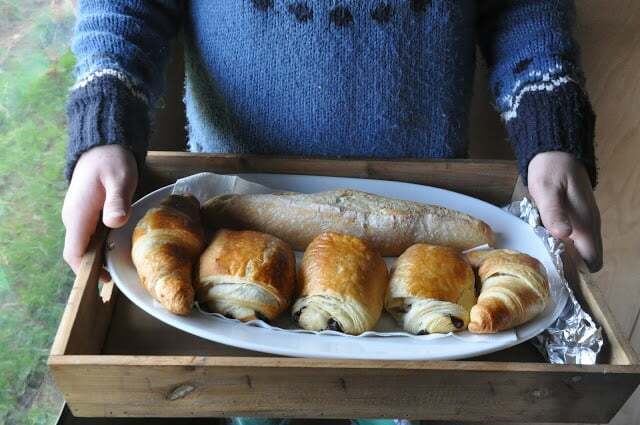 According to our guests feedback “Kate’s cooking is highly recommended” “absolutely scrummy casserole, breakfast and bbq!” and “the morning croissants are yum!”. Meals that serve 4 adults would also feed 2 adults and 3 children, as they are generous portions. 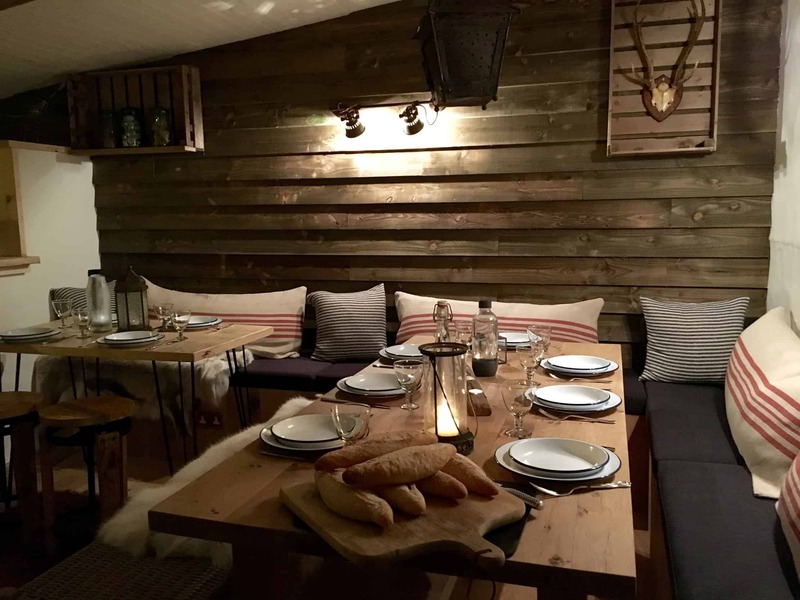 Book into our Lodge for a night and get the whole place to yourself to enjoy a cheese fondue or cook your steak on hot rocks. 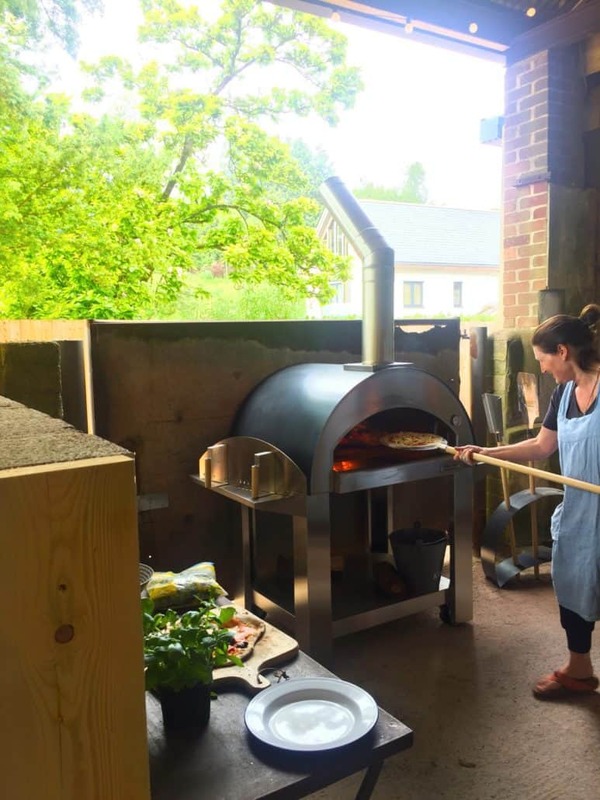 We have a new large Barn available to use for Pizza nights and for larger groups, let the children add their own ingredients and watch it cook in the wood fired oven. If you want to travel further afield both our local pubs are within a 5 minute drive or 20 minute yomp away. 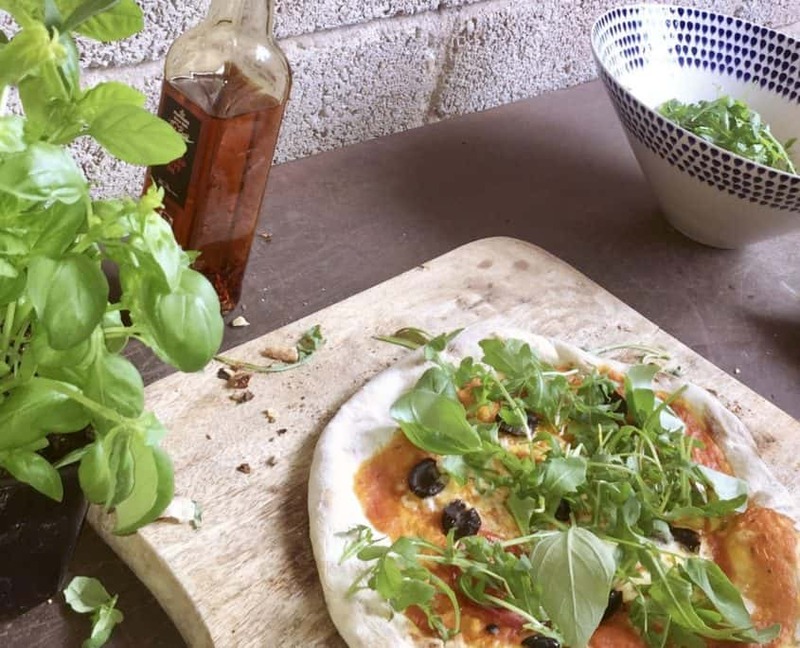 Our Larder shop also stocks a small range of local beer, wine cider and gin as well as camping essentials, delicious local produce, drinks, picnic snacks and ice creams. 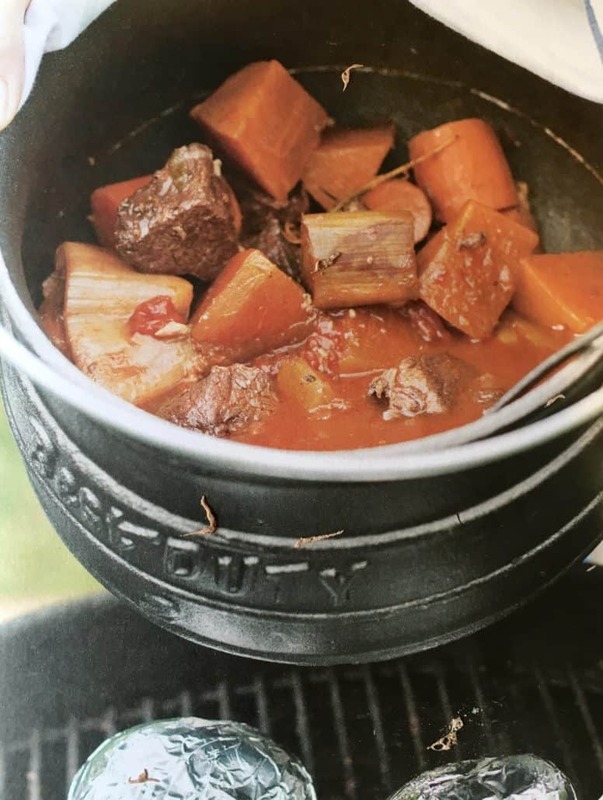 Potjie is an Afrikaaner campfire dish of beef and chunky vegetable stew traditionally cooked for 4-5 hours in a large cast iron pot. Served warm with rice for you to cook on your stove. Brownscombe home reared sausages and lardons in a red wine and tomato sauce with cannellini beans. Accompanied by a warm demi baguette (1 between 2 people) – Can also be made with veggie sausages on request. Brownscombe home reared sausage meat, with tomato and penne pasta, topped with shavings of parmesan – total favourite for our kids and their friends. Veggie version available on request. Served with pasta for you to cook on your stove. Local butterflied half leg of lamb marinaded for 4 hours in lemon juice, crushed garlic, paprika and oil ready for you to cook for 10-13 minutes each side on your BBQ accompanied with prepared vegetables for you to cook and mix with couscous. Home reared Brownscombe pork; 4 pork & apple burgers, 8 pork sausages, 2 whole corn on the cobs (halved) and 4 warm demi baguettes. Ready to cook on your BBQ. Home reared sausages (2), a pork and apple burger and corn on the cob. Ready to cook on your BBQ. 2 haloumi/pepper/mushroom/onion kebab. Ready to cook on your BBQ. 2 eggs, 2 bacon rashers, 2 sausages and baked beans. 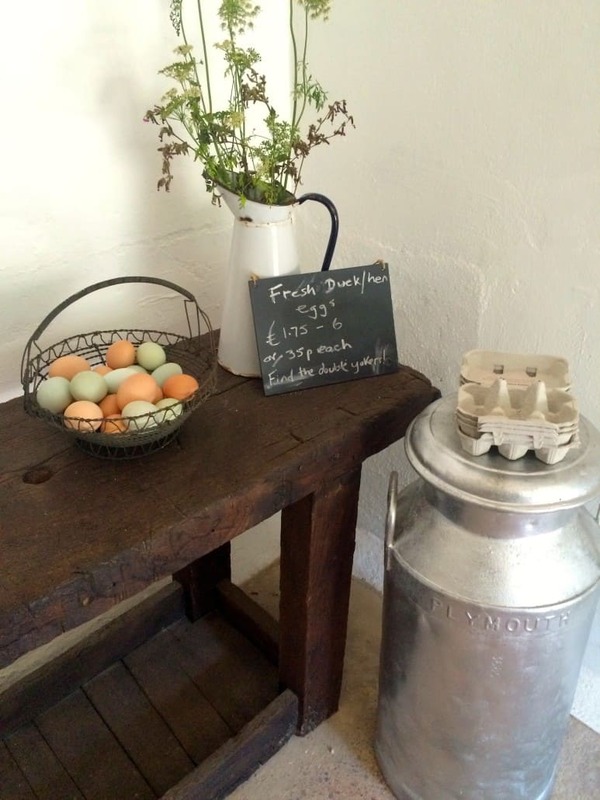 Home reared pork and eggs from Brownscombe – ready for you to cook on your range or BBQ. 2 eggs, 2 veggie sausages and baked beans. Ready for you to cook on your range or BBQ. 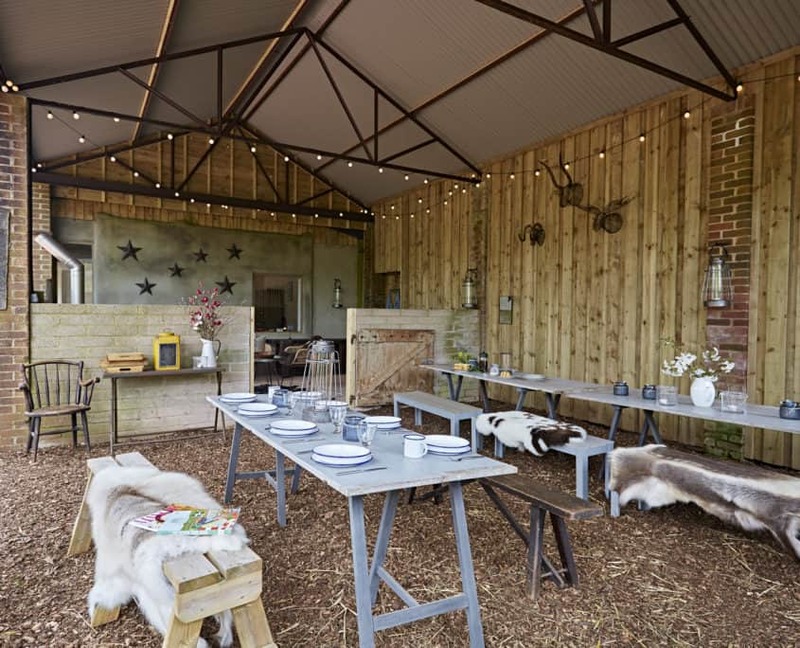 All Larder menu food is also available in the Lodge (with the exception of the BBQ baskets) for a £5 / head supplement to cover set up, clearing up and the wood for the stove. 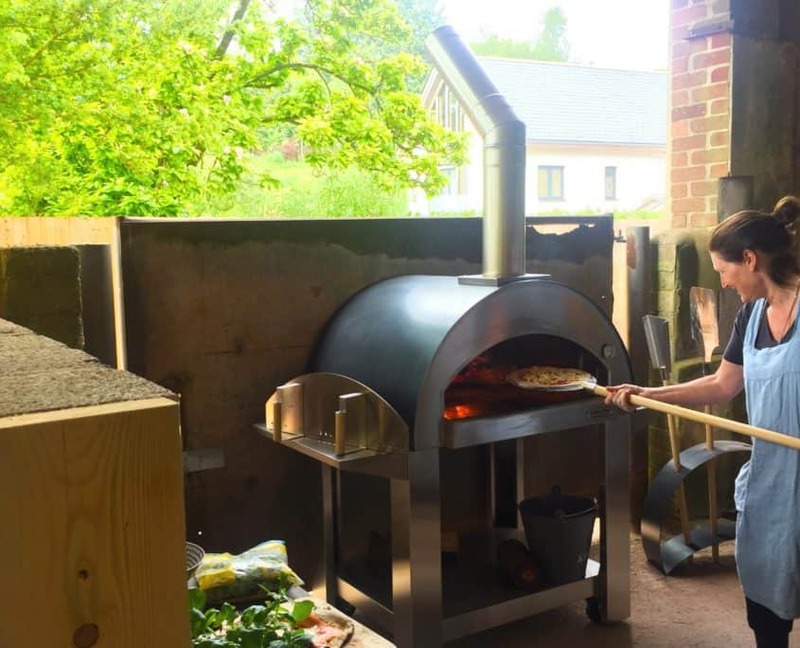 We will put it in and get it out of the oven for you as it reaches temperatures of 450 degrees! Do you have a special occasion to celebrate? You can arrange for Roses (posy of 3 picked from Brownscombe gardens), 750ml bottle of Veuve Cliquot Champagne and Brownscombe fudge to be waiting for you on arrival in your accommodation or in the Lodge for dinner.